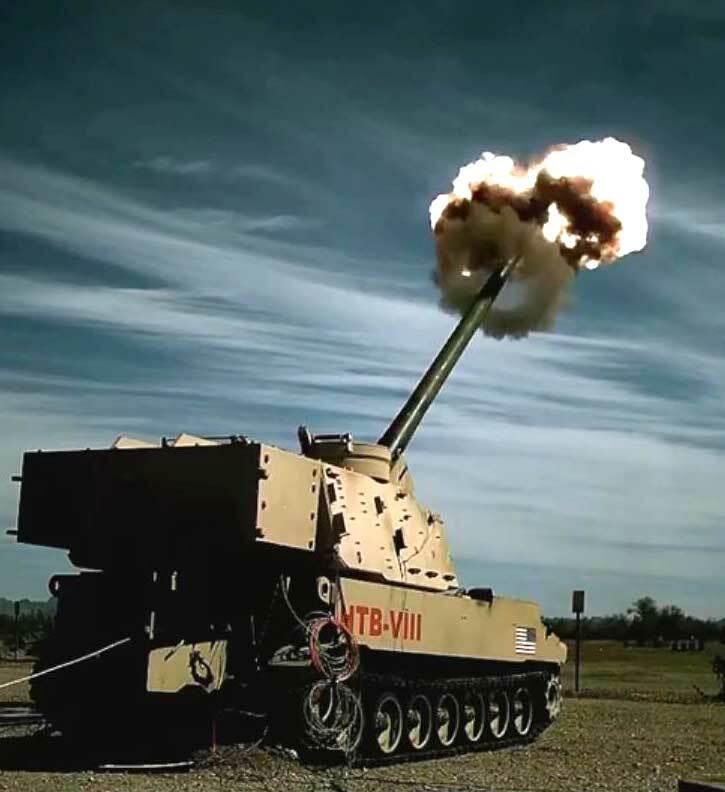 The 42nd Attack Squadron reach it's centennial anniversary June 13, 2017. It's lineage can be traced back to World War I where it was a training unit. 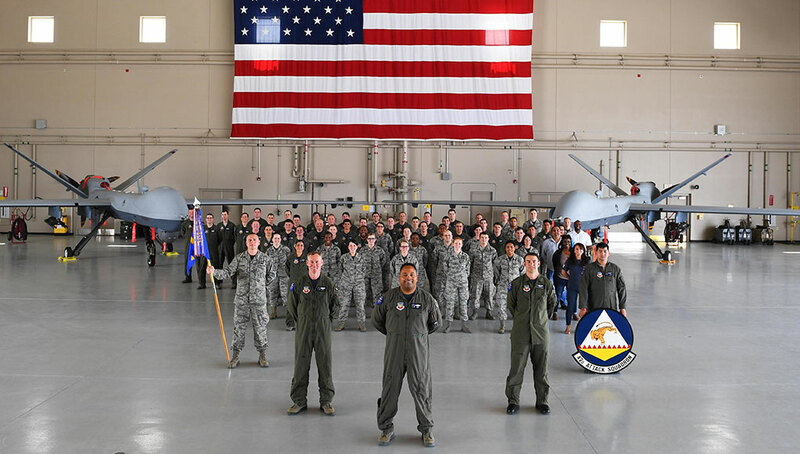 In 2006, the 42nd became the first MQ-9 Reaper squadron and continues today providing dominant persistent attack and reconnaissance to the combatant commanders 24/7/365. Photo: U.S. Air Force by Christian Clausen. Although unmanned aircraft do not require a pilot to fly, they do need significant human control and support to operate. Remote pilots and system controller are operating the systems throughout the flight and, when flights are extended over time, multiple crews are necessary. Between sorties, support teams prepare drones for the next mission, as any aircraft do. As with manned aircraft, the human skills supporting UAVs are scarce and complex and, to ease some of the burdens, UAS developers introduced autonomy to reduce the need for specific human skills, without compromising safety and mission effectiveness. In fact, when fully implemented, autonomy may improve mission success, as human-related mishaps are eliminated. Takeoff and landing are the most demanding phases of a drone’s mission that cause many of the accidents and losses of UAS. As one of the pioneers in autonomous unmanned systems, IAI Malat has automated this process, by introducing autonomous takeoff and landing. This technology enables Heron operators to manage missions rather than fly the drones, while the UAV performs their commands autonomously. Today these capabilities are expanded to enable autonomous control if a loss of communications, pilot error or other malfunction occurs or when operator control is otherwise compromised, the drone continues the mission autonomously or automatically selects a landing site, fly to it and perform a safe landing without any information exchange with the ground controller. Operation of drones in a dense airspace, where many manned and unmanned military and civilian vehicles run is of special importance. Today, such operations call on the drone pilot to develop situational awareness based on flight data and sensors readout provided by the vehicle. Full autonomy for drones will introduce a higher level of autonomy for the drone to develop an ‘understanding’ of the air picture around it and respond in accordance with flight rules, with or without human control. Full autonomy of platforms control calls for the next wave of transformation that will come from the commercial market. New autonomous capabilities that will become part of the future of aviation, as autonomous air vehicles transporting passengers and hauling cargo in the sky will become common, will benefit military users. Autonomy functions contribute to smaller crews operating each drone, up to a single operator controlling multiple drones. The first generations of MALE drones required a crew of five operators (the current Chinese MALE drones still operate this way). 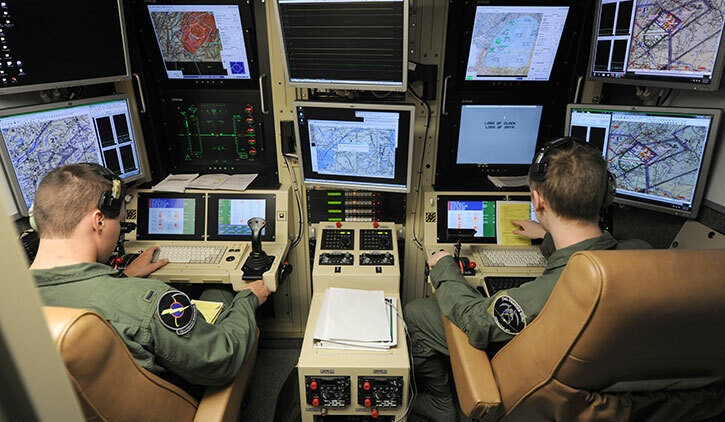 The next generation of Ground Control Station (GCS) for the US Air Force Predator and Reaper drones known as ‘Block 50 ‘, is designed for single seat operations that can reduce manpower at the user’s discretion. With complete ‘Hands on Throttle and Stick’ for flight, weapons, payload, and sensor system control, aircrew situational awareness is greatly enhanced with a Common Operational Picture on a synthetic combines modern multi-screen touch sensitive design displaying synthetic videos, 3D graphics, and moving maps. 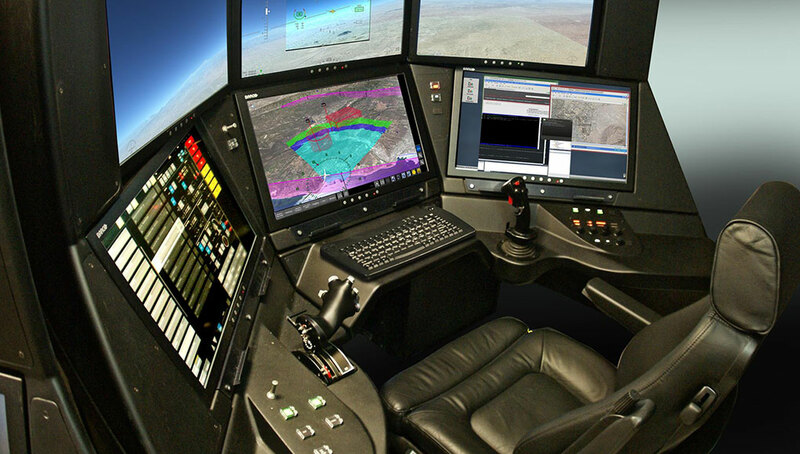 General Atomics Aeronautical Systems Inc (GA-ASI) completed the Critical Design Review (CDR) of the new GCS in June 2017, which included a review of some 700 customer requirements further supporting automation and functionality. The Block 50 architecture has full physical and functional payload separation from the drone’s safety-critical Operational Flight Program, allowing for quicker integration, testing, and fielding of new payloads and systems. Missions involving persistent 24×7 operations require integration of new functions that enable the control of multiple aircraft by a single team, at least during transit to and from a mission and on ‘parking’ orbit. Such capabilities are provided by Elbit Systems, for their Hermes drones utilizing the latest version of Universal GCS that enables a single crew to monitor and control multiple aircraft simultaneously while on a shift. 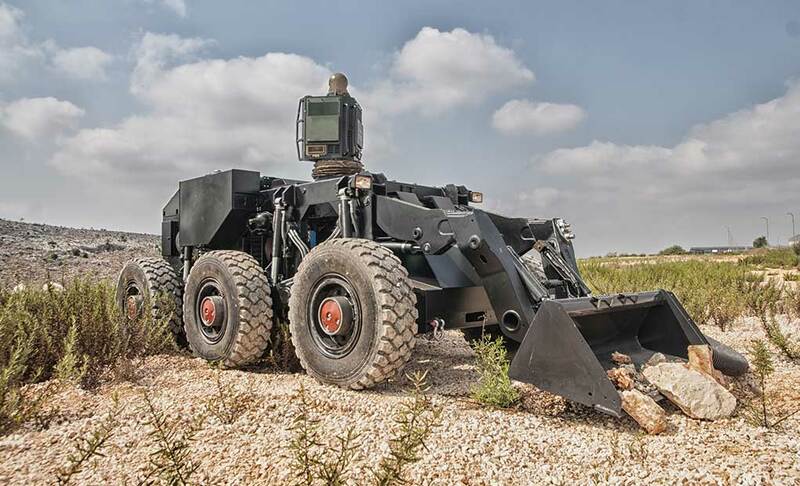 Its side-by-side identical and redundant operator consoles feature ruggedized COTS hardware and commercial software tools for quick and easy mission planning, management and control. Built-in data exploitation and dissemination also supports “single-operator” GCS function. Highly sophisticated controls are not limited to the big and expensive drone GCS. 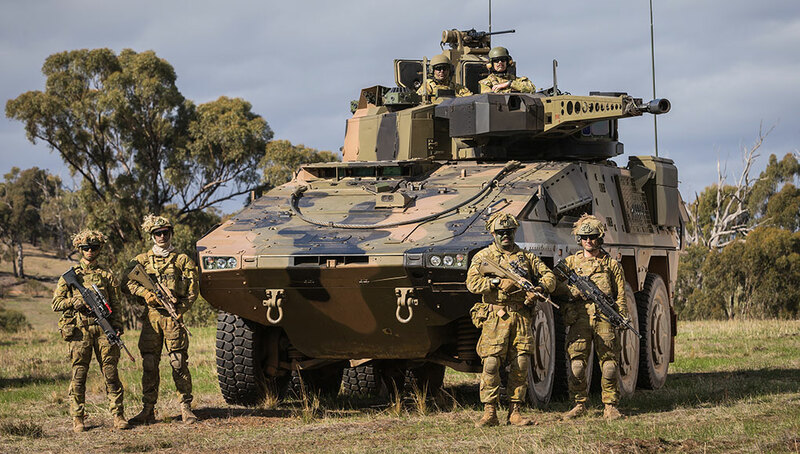 Mini-UAVs designed for operation at the tactical level also use advanced levels of autonomy to simplify the control of small unmanned vehicles and enable operation by ordinary soldiers. Initially, various automation functions are employed at the ground control segment to enhance performance, supporting the ‘camera guide’ functions and ‘move to point’, where the drones‘ flight destination and orientation are automatically set to maintain the target within the sensor’s field of view. More advanced functions, such as ‘convoy mode’ instruct the drone to track the operator’s movement, maintaining automatic surveillance ahead of the moving vehicles. 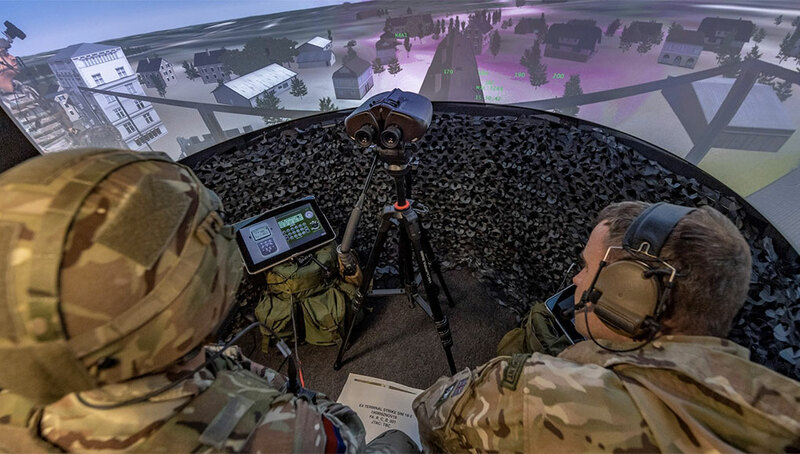 Such mode enables the operator to focus on the mission, rather than flying the drone from a moving vehicle. Other functions including ‘return to launch point’ are triggered automatically upon loss of communications.